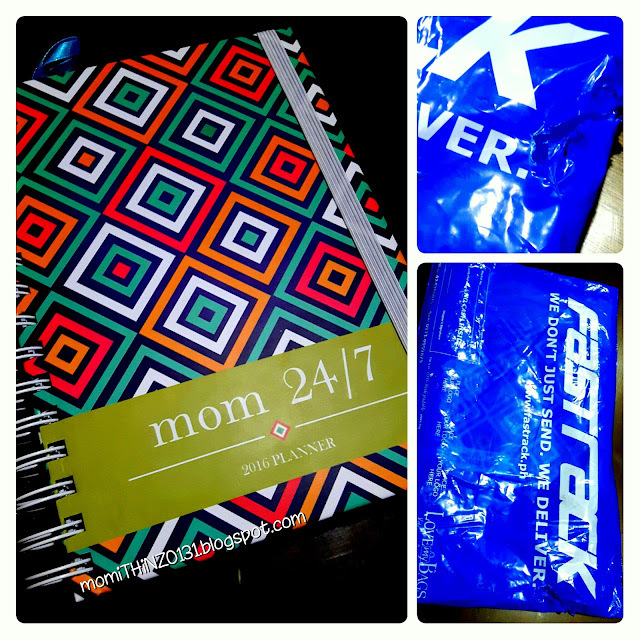 I was browsing pictures from my instagram, then I learned about this planner specially designed for moms like me. 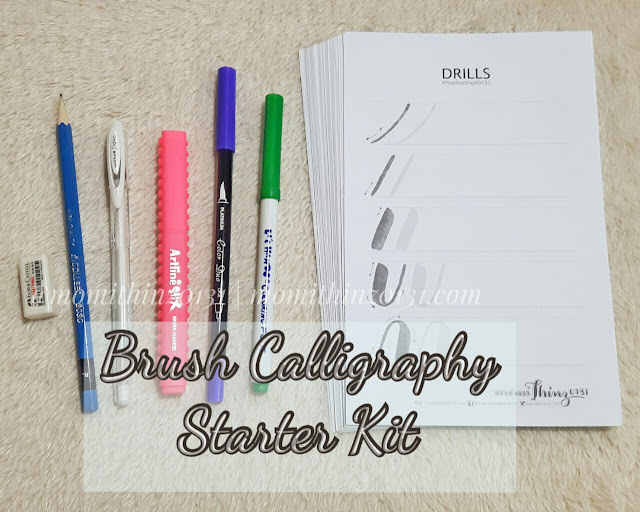 I fell in love with it, so then I searched on where and how to get one. 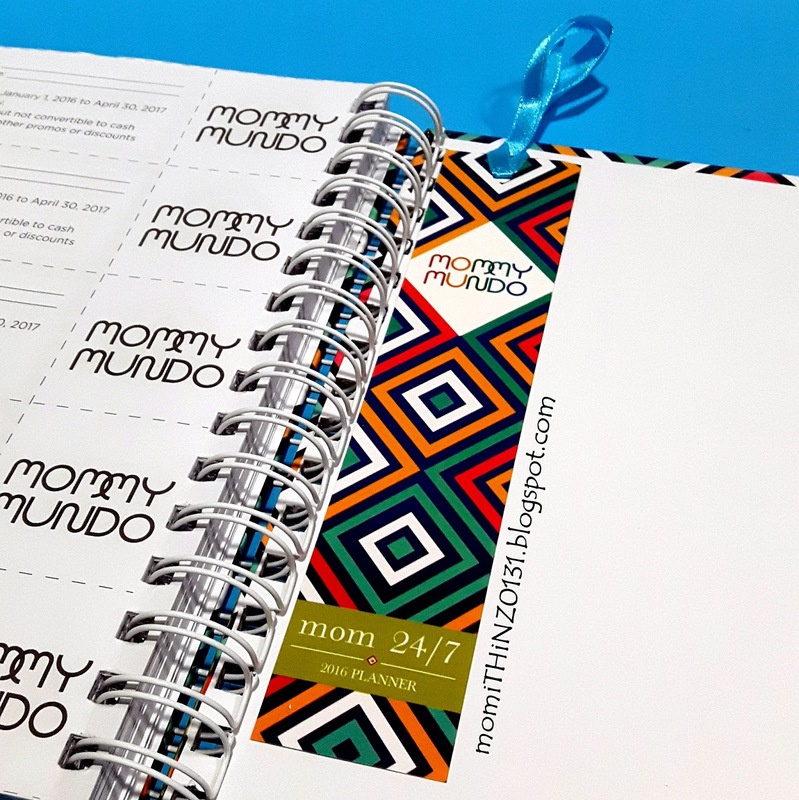 I found @mommymundo's instagram account, the author of this planner and that leads me to her online shop www.mommymundo.com where I was able to purchase the planner right away using PayPal as mode of payment. OMG! I can't wait to see my own mom 24/7 planner! Couple of days later, I got the package from Fastrack. 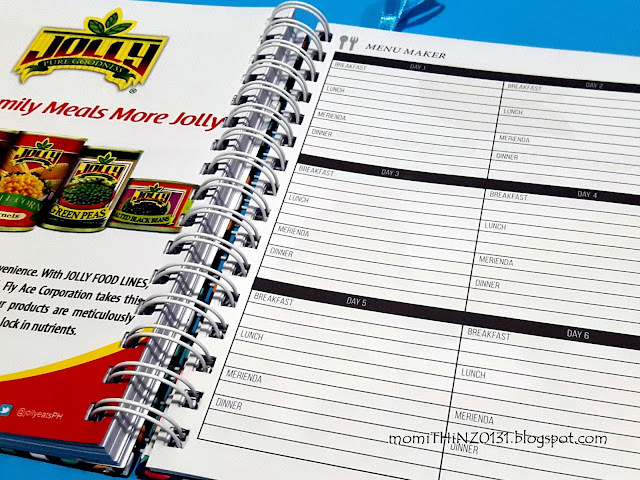 There's a little hole on the right side of the pouch though the planner still looks perfectly fine. First page is the information sheet with the mom 24/7 2016 planner logo. 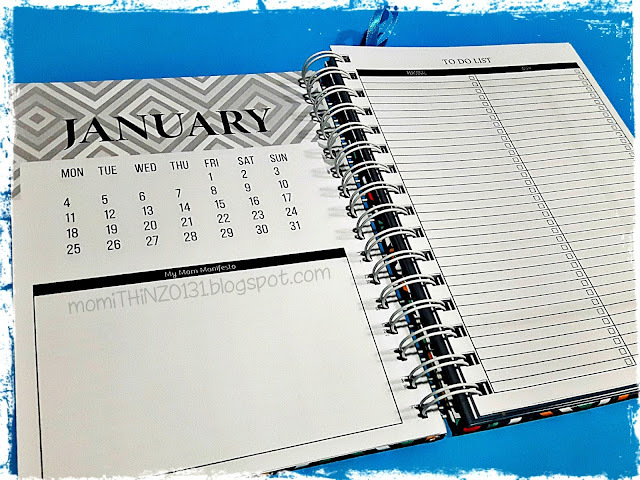 Next page is for planning ahead. 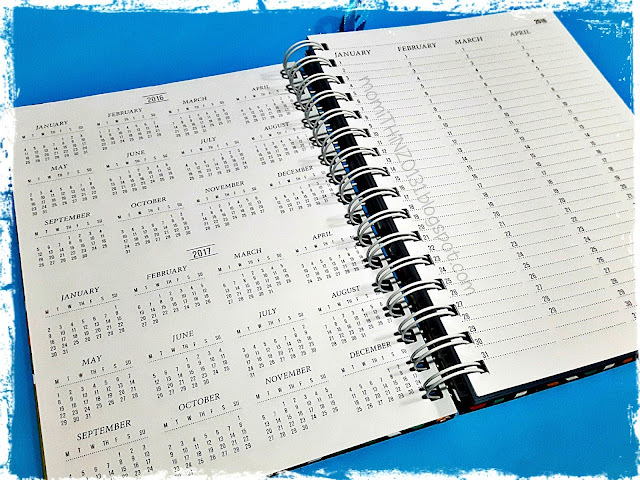 There's a calendar for the year 2016 and 2017. 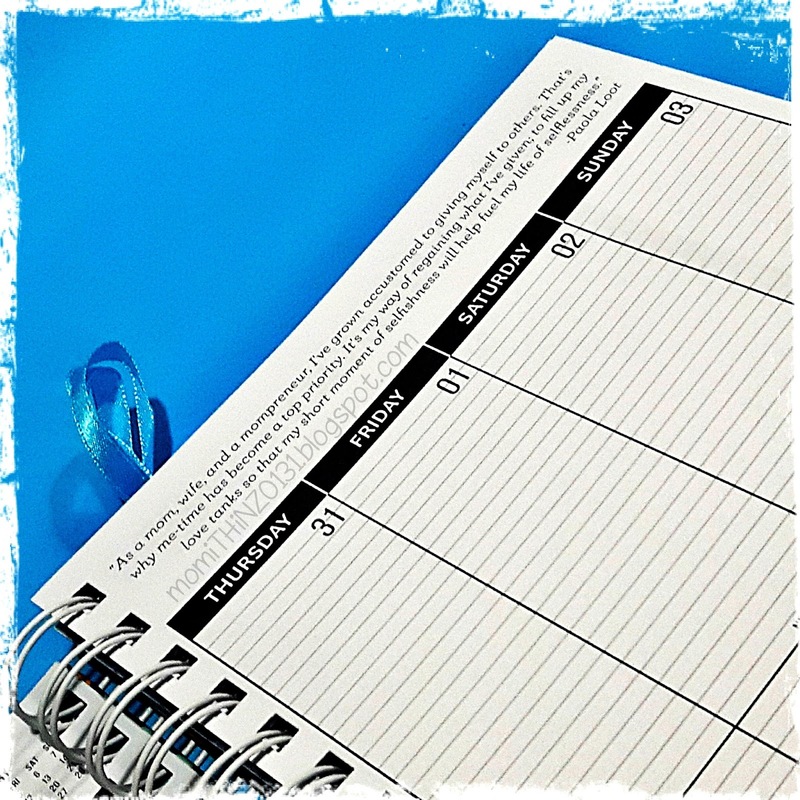 Then there's a list-type calendar on the right side for a quick note of your future activities. aside from the month's calendar, there's also a space called "My Mom Manifesto". 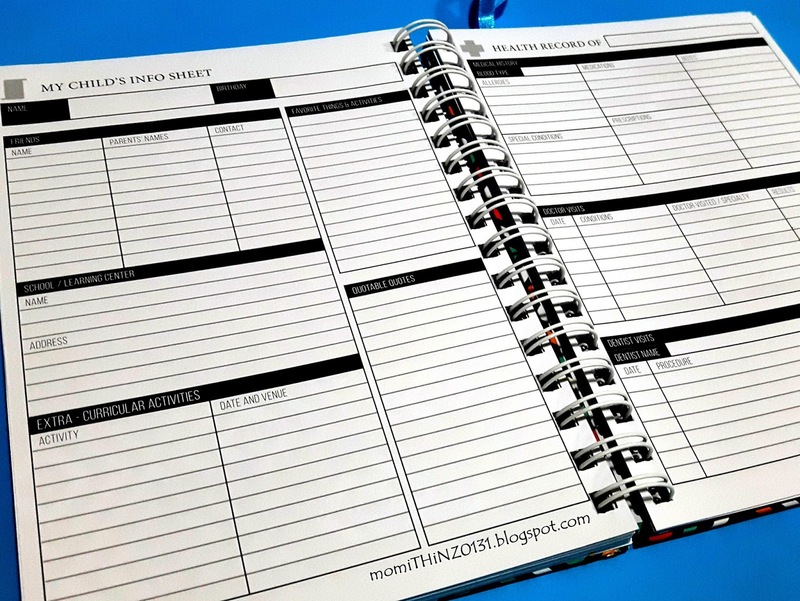 Then on the right side is a To Do List page for personal and work. 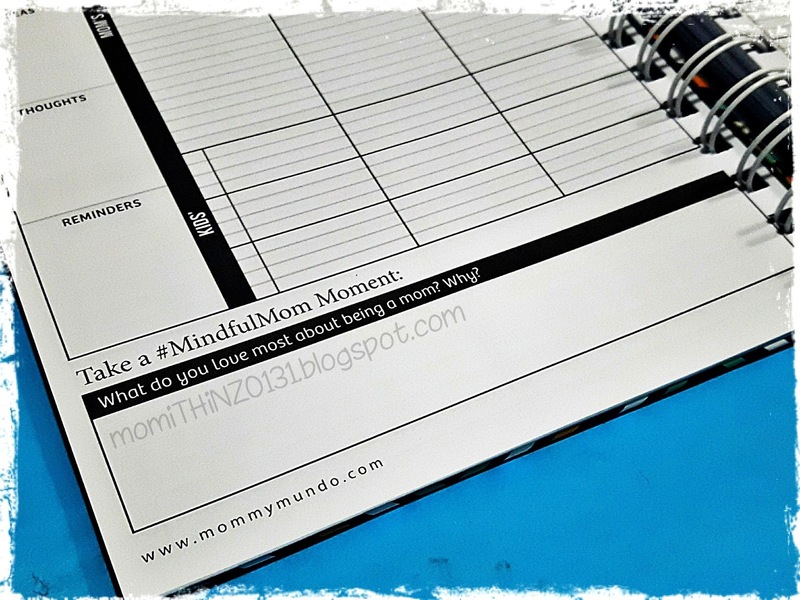 notes, ideas, thoughts, reminders, mindfulmom moment and goals for my roles. At the top of the right side portion of each weekly spreads are inspirational quotes from different persons. 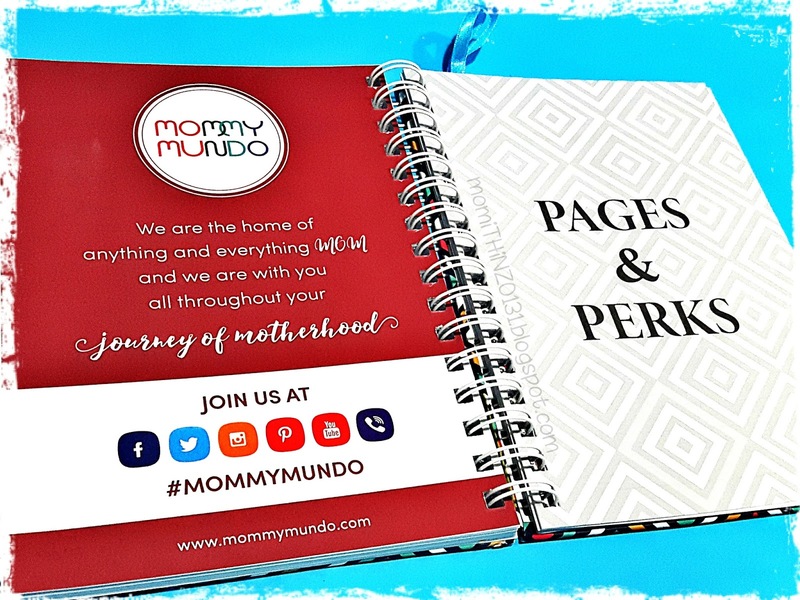 And on the lower portion of the left side is a space for a MindfulMom Moment where a random question about being a mom is asked. 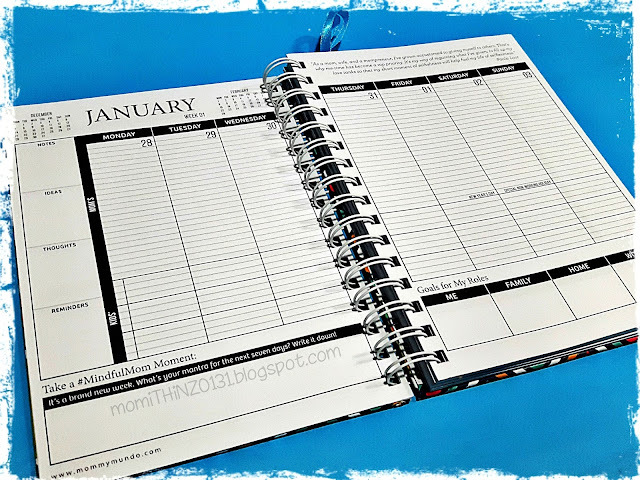 After all of the weekly spread from January to December comes the Pages & Perks. Now here's for your Parent's Health Record. 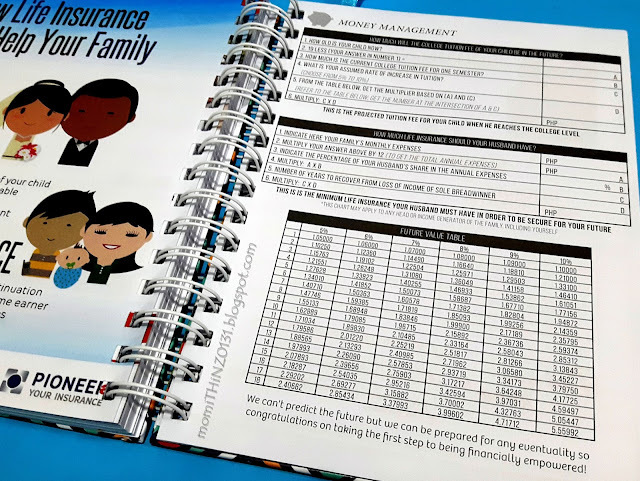 It's good for 2 persons, so it could be your parents or you and your husband as a parent. I assume, because there's none for you aside from the Self-care plan page. 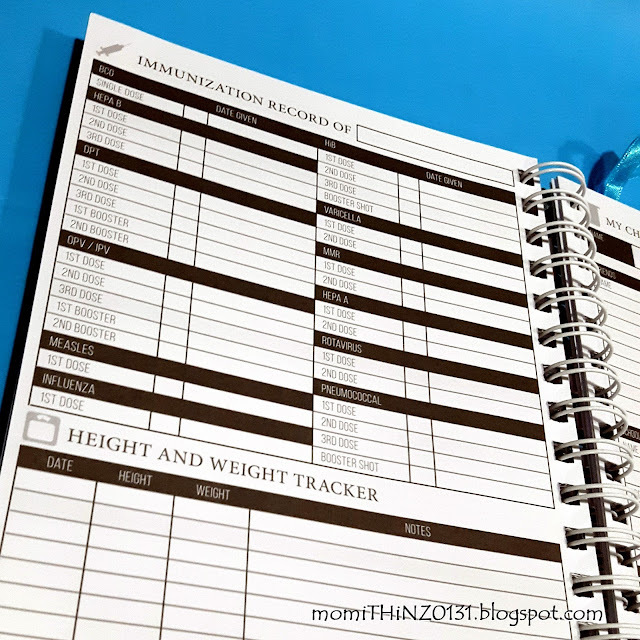 On the right side is the Household Staff File that is good for 3 members. 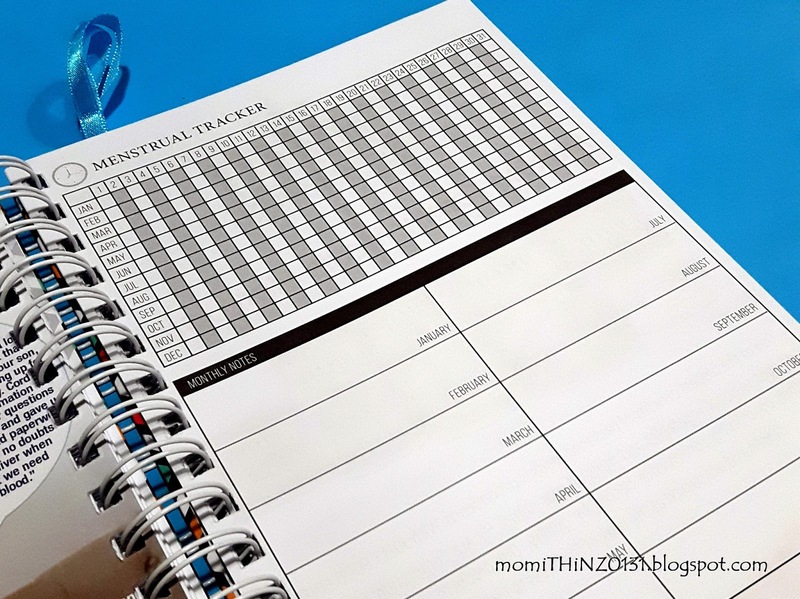 Menstrual Tracker for your monthly period with spaces for your Monthly Notes. 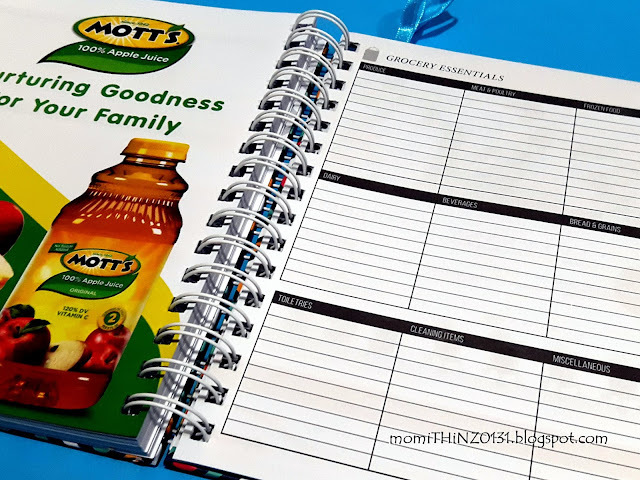 Another page for Grocery Essentials with 9 categories..
Produce, Meat & Poultry, Frozen Food, Dairy, Beverages, Bread & Grains, Toiletries, Cleaning Items, and Miscellaneous. 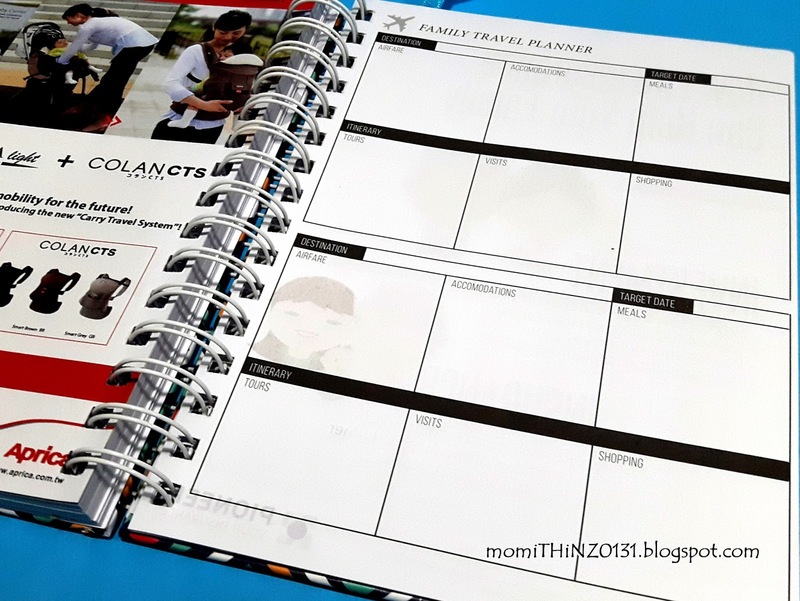 A Family Travel Planner good for 2 destinations. 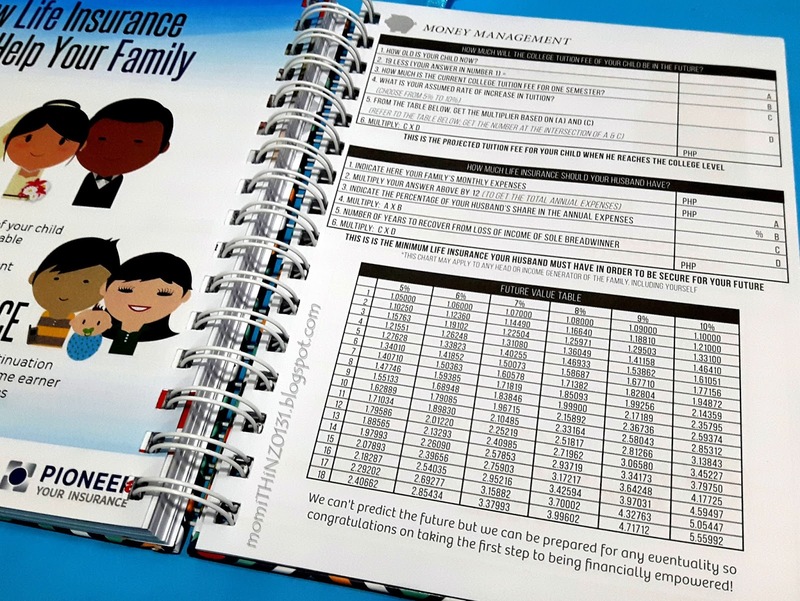 Money Management about your child's tuition fee and life insurance. 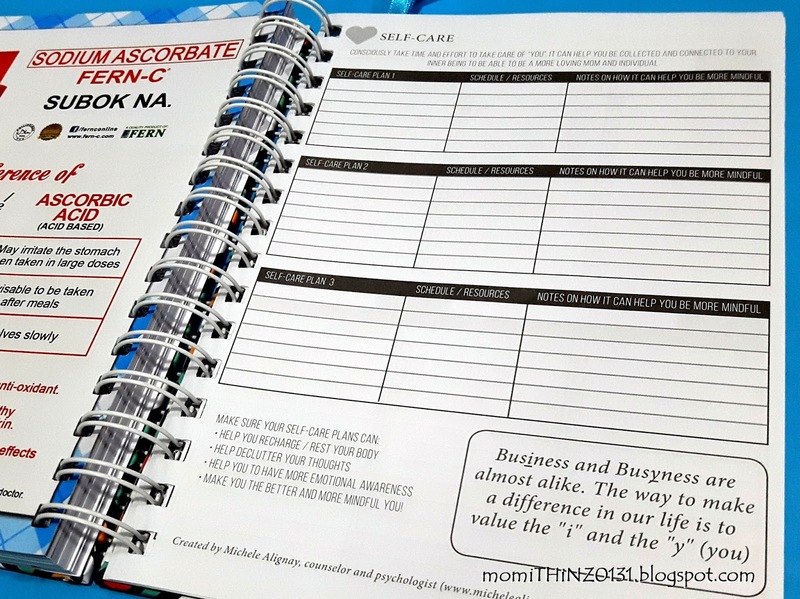 Now here's the Self-care section that I've mentioned earlier. A Party Planner that's good for 2 occassions and a Kid's Doodle page on the right side. 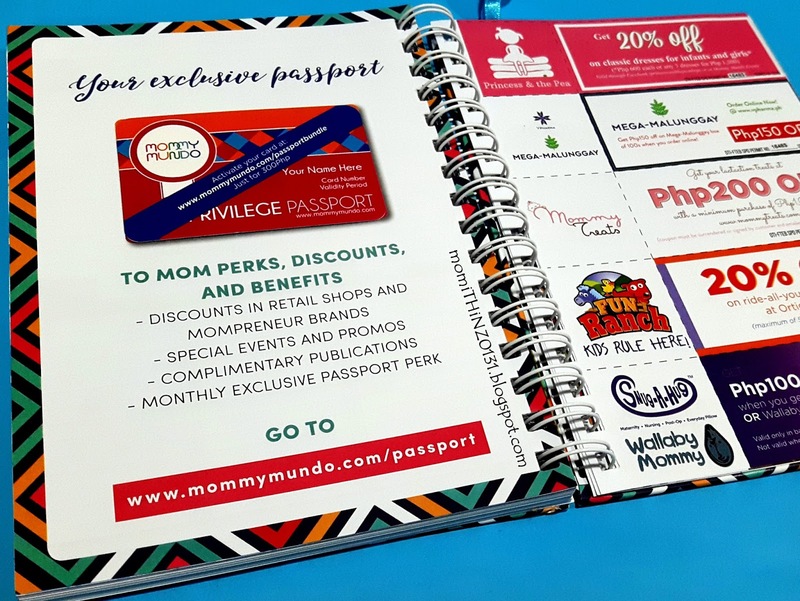 On the left side is a sample of MommyMundo Privilege Passport that you can activate online for only P300. Next to it are discount coupons, there's a total of 15 coupons from different stores. These are Princess & the Pea, Mega-Malunggay, Mommy Treats, Fun Ranch, Snug-A-hug or Wallaby Mommy, The Nest, halo, Mome, MindChamps, Philips AVENT, Nurture Nook (3 coupons), MommyMundo, and Waters Philipppines. And here's a bookmark attached with a ribbon that has the same print as the cover of this hardbound planner. 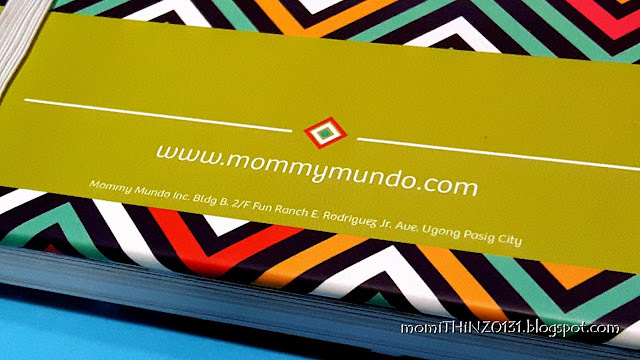 Finally, here's the back cover with mommy mundo's website and office address. Awesome! Right? 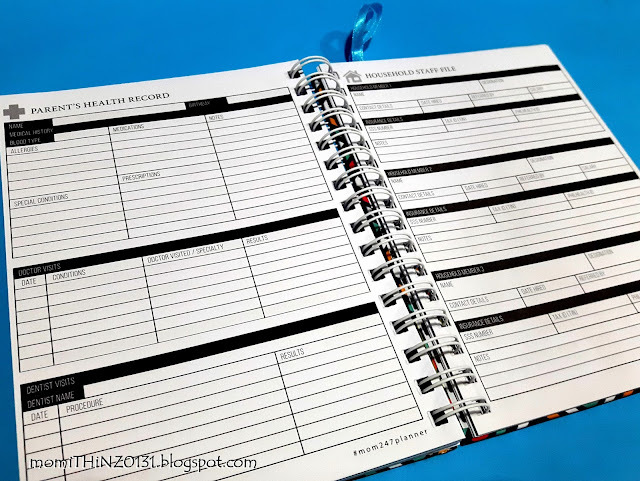 That's a lot better than an ordinary planner, like an sb planner maybe? LOL! ^_^ I still love my sb planners, and I have both size of their 2016 planner. 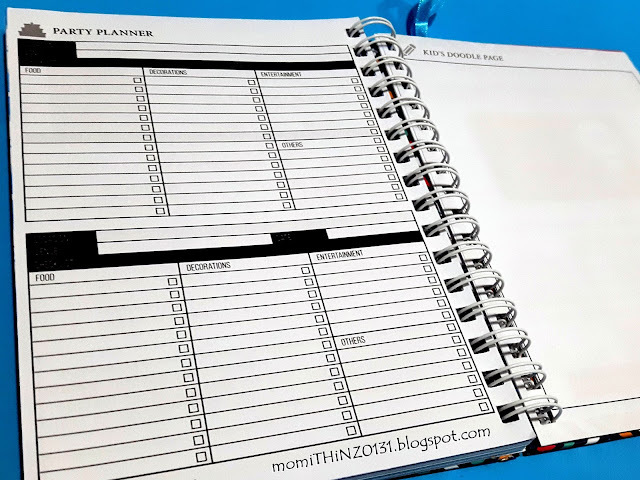 It's just that this planner suits me as a mother of 2. What do you think of the mom 24/7 planner? Hi Mommy Thinz! What a coincidence no? Hehehe. Hubby wants the name Cloud kasi and I want two name naman and I found Dylan in the net. Sounds good naman so Cloud Dylan. Ang cute din ng Dylan Cloud! :) Followed you back dear. Love this post! How are you liking your new planner? Congrats!! 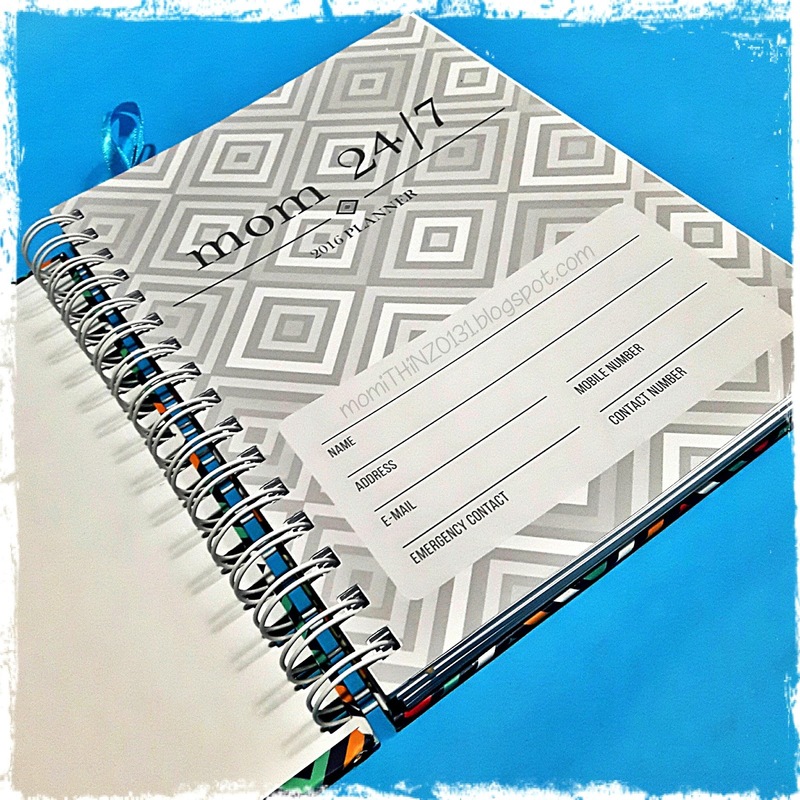 This planner looks amazing and seems to have everything you need as a mom and more, right in one cute little planner. I love it. Enjoy!